The Moorcroft Museum offers a fascinating glimpse into the design history of this unique Art Pottery. 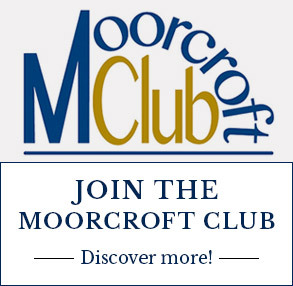 The age of the collection spans over 120 years, including examples of William Moorcroft’s very first creations made during his time at James Macintyre & Co., the ceramic manufacturer who first employed him. Iconic pieces like Waratah, which sell today for phenomenal prices on the secondary market, can be found as well as curiosa from times gone by; a moustache-protecting teacup, an old clocking-in machine for factory workers and experimental flambé- fired and lustre vases. Celebrated Moorcroft patterns can be admired from within polished oak cabinets, created by Liberty & Co. in 1924 for their own exhibition. 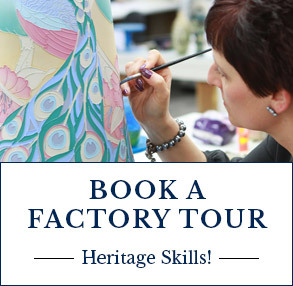 Discovering the story of William’s famous Florianware, the style which established him as a truly great potter and admiring the progression of his work and that of his son, Walter, is an absolute must for everyone who has ever felt intrigued by Moorcroft. 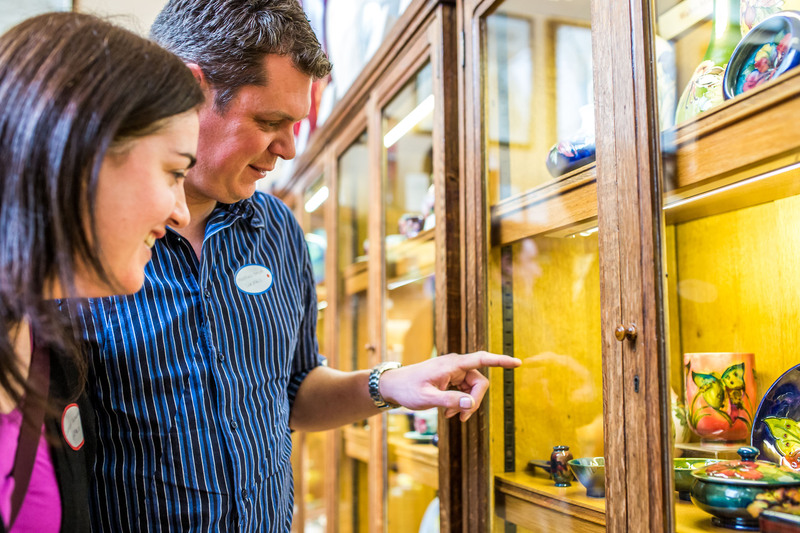 Not only does the Moorcroft Museum contain a capsule of the past, but examples stretch right up to the modern day, with our very latest projects and innovations displayed. Discover a Moorcroft table made for the Royal Horticultural Society Chelsea Flower Show, miniature vases created for The Museum of Childhood and a cabinet of contemporary designs made for the Royal Household. 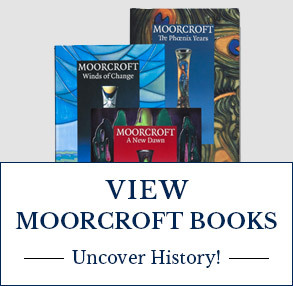 If you wish to delve a little deeper, simply pull up a Liberty fabric bench and flick through the pages of one of many fascinating books on Moorcroft design. 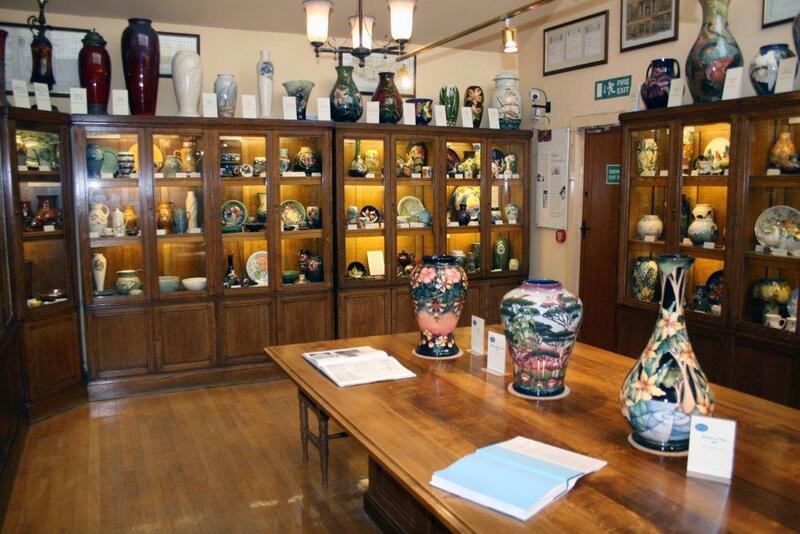 Entrance to the Moorcroft Museum is Free of Charge.